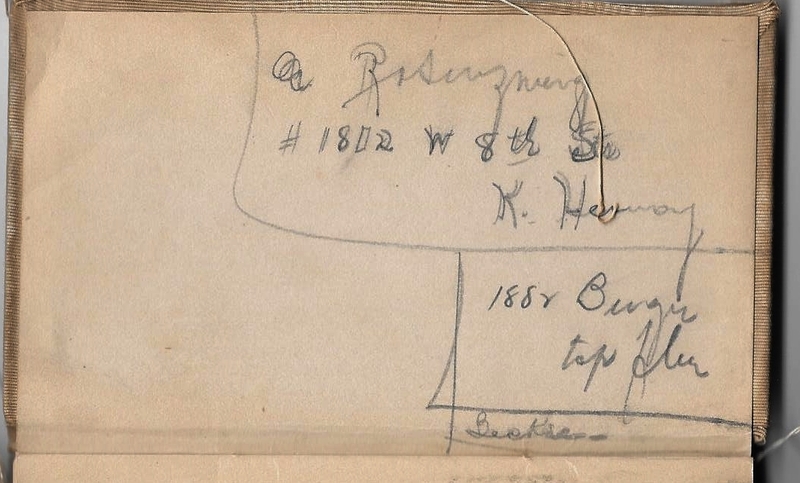 If you had asked me three years ago when I started this blog whether I’d still be finding new Brotman relatives three years later, I’d have laughed. I had so little information about even my great-grandparents. And yet here I am in 2016 having found a whole new Brotman/Brod family of relatives based on a name in a baby book from 1917. 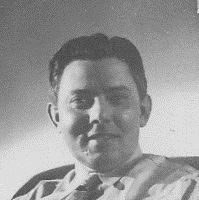 The discovery of Julius Goldfarb and his family, in particular his mother Sarah Brotman/Brod, was a true blessing. 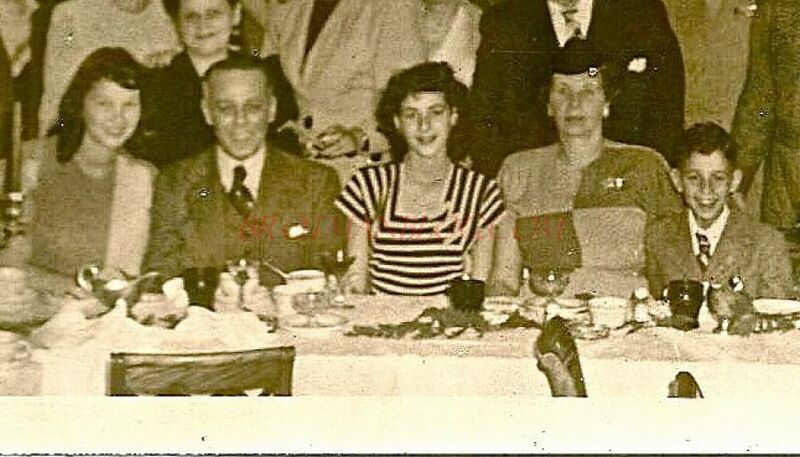 Now I have corroboration of where my great-grandparents lived in Poland, and I have a better picture of my grandmother’s extended family and the people who were part of her life when she was a child and an adult. I also have several newly discovered living cousins who have already enriched my life. Even more amazing to me is the most recent discovery of Taube Hecht because that discovery was even more far-fetched. 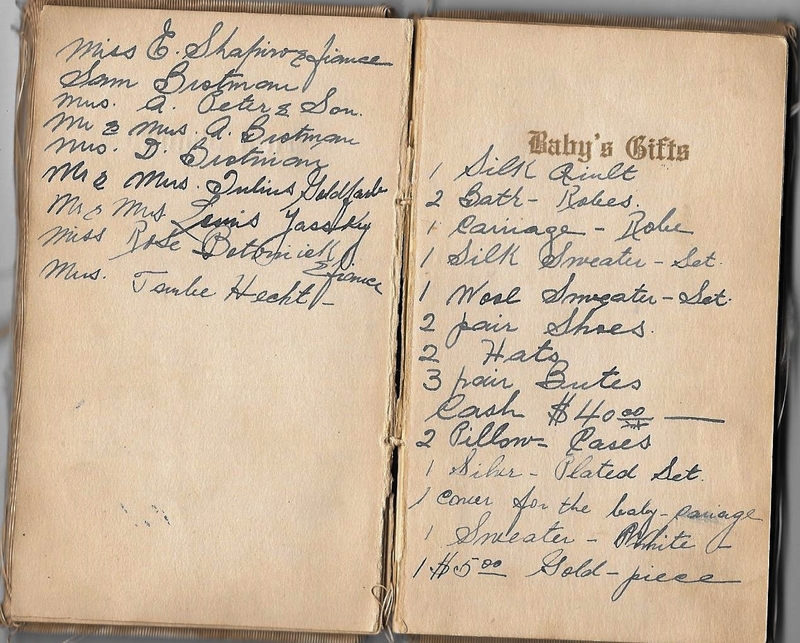 Remember that in my aunt’s baby book the last name on the list of visitors was Mrs. Taube Hecht. At first I’d had no idea who she was. 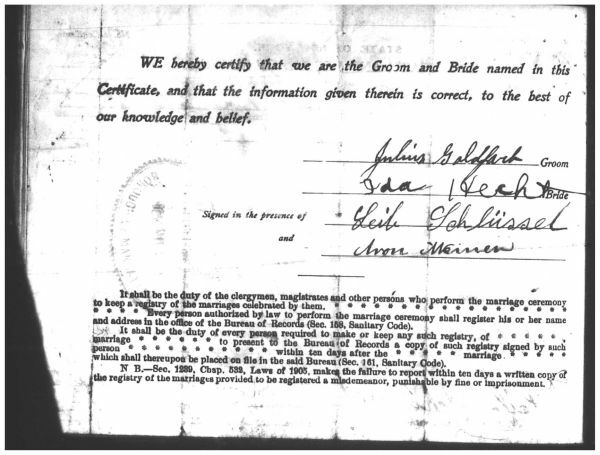 Then while researching Julius Goldfarb to figure out how he was related to my grandmother, I obtained a copy of his marriage certificate. 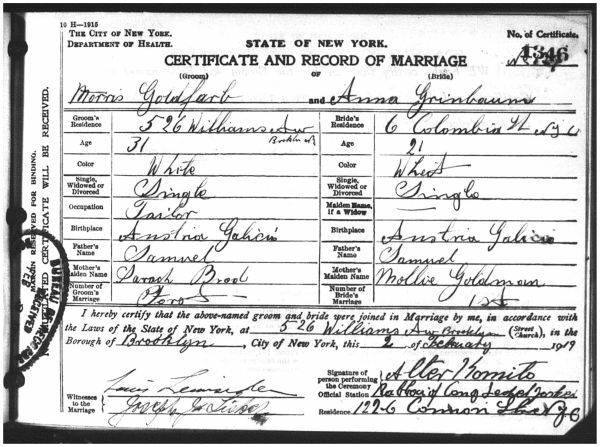 Julius Goldfarb had married Ida Hecht, and on their marriage certificate it said her father was Jacob Hecht and her mother’s name was originally Taube Brotman, now Taube Hecht. 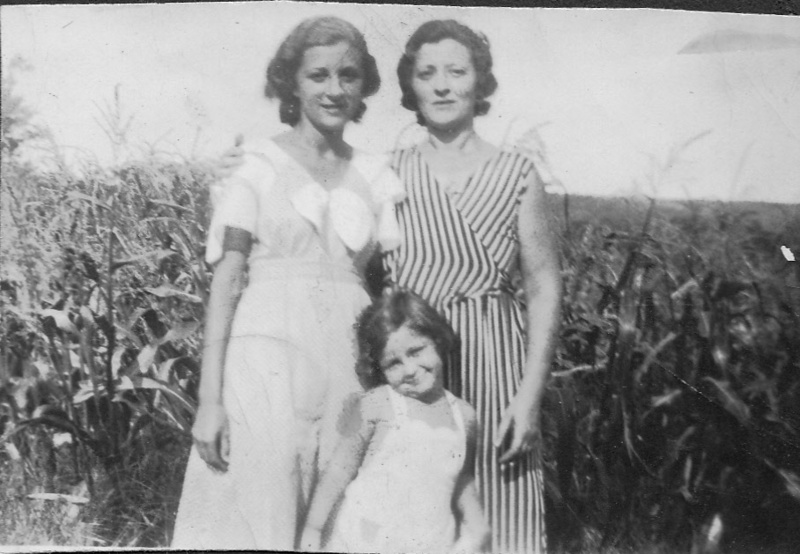 I had wondered whether Ida’s mother was also somehow related to my grandmother’s family. 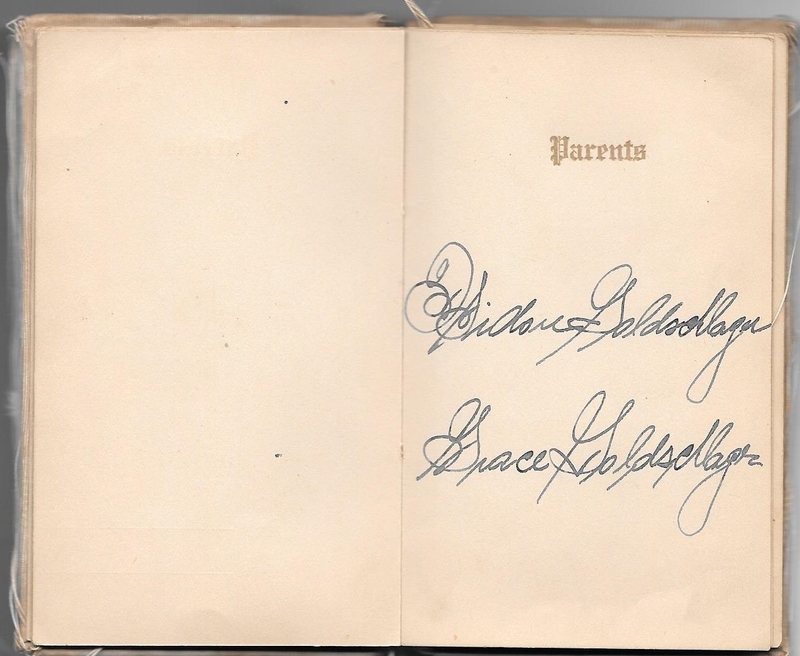 In researching Taube Brotman Hecht, I learned that she was also known as Tillie and that she’d had eight children with Jacob Hecht: Harry (1892); Ida (1894); David (1896); Gussie (1899? ); Etta (1900); Sadie (1903); Rose (1906); and Eva (1908). 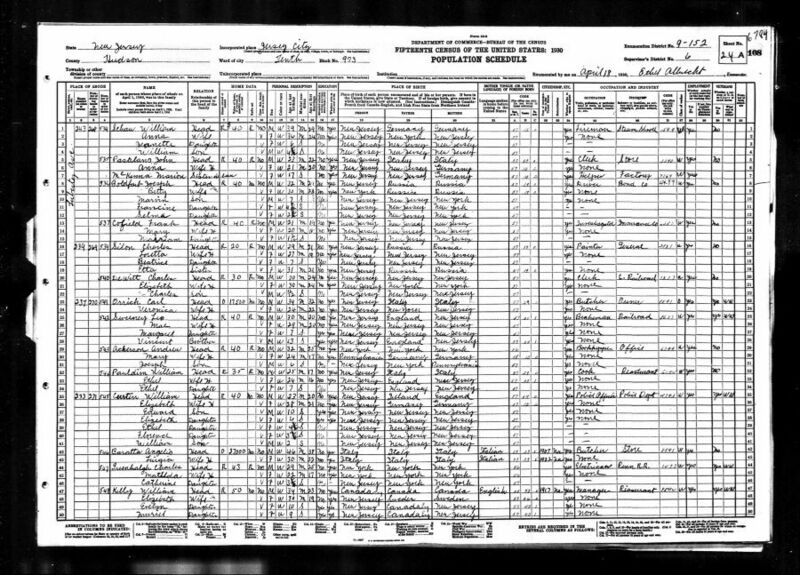 On the 1915 New York State census, the Hecht family was living in the same building on Avenue C in New York City as Sam and Sarah Brotman/Brod Goldfarb and as Hyman Brotman, my great-uncle, and his family. It certainly seemed possible that Taube was related to my Brotman great-grandparents and to Sarah Brotman/Brod Goldfarb. 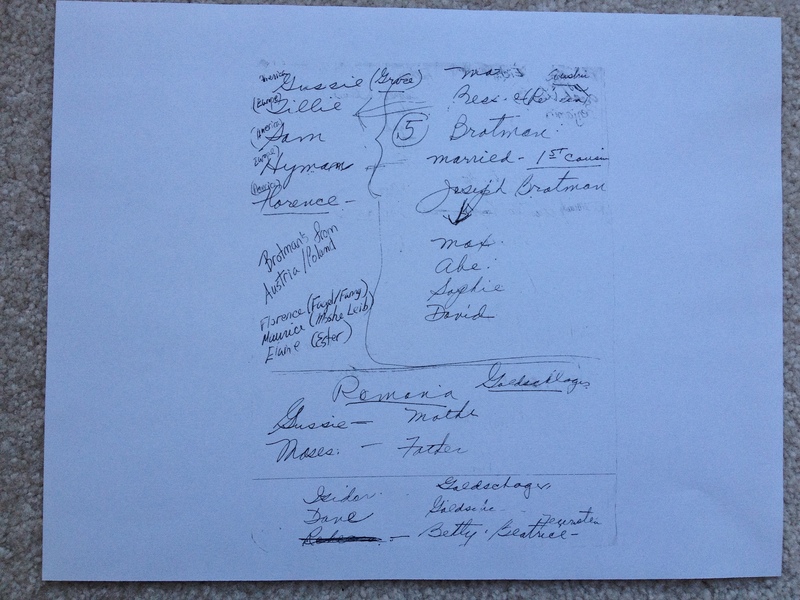 So I jumped for joy—perhaps another relative, another set of clues about my Brod/Brotman relatives. And then I jumped back into the research, hoping that Taube Brotman Hecht would provide more clues about my elusive relatives from Galicia. 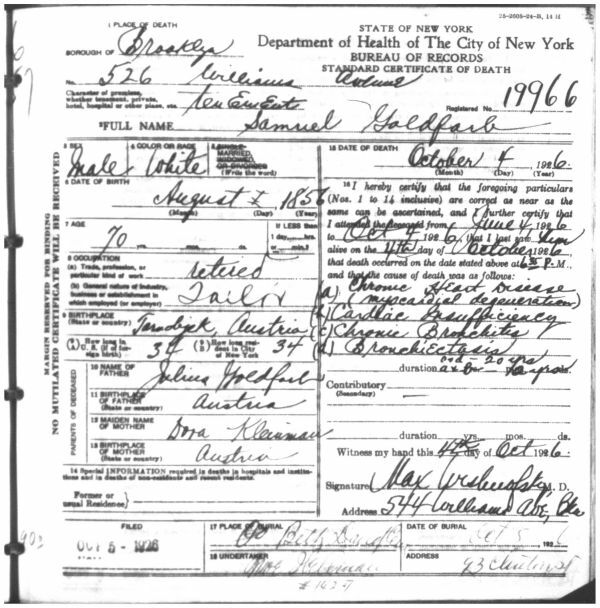 I figured that with eight Hecht children to research, I would undoubtedly find more clues from birth, marriage, and death certificates. But alas, the Hechts proved to be far more elusive than I’d hoped. I started by searching for birth certificates. 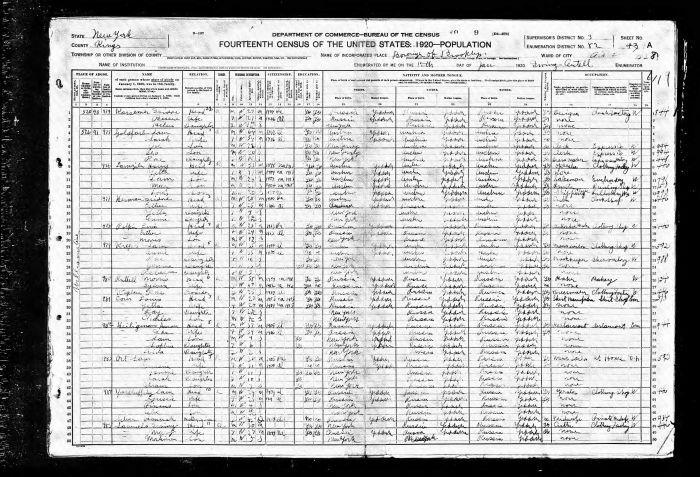 Since I knew from the Goldfarb family records provided to me by my cousin Sue that Ida Hecht Goldfarb was born in New York City on October 19, 1894, and that the Hechts were still living in New York City in 1910 when the US census was taken, it seemed quite likely that all eight children, born between 1892 and 1908, were also born in New York City. 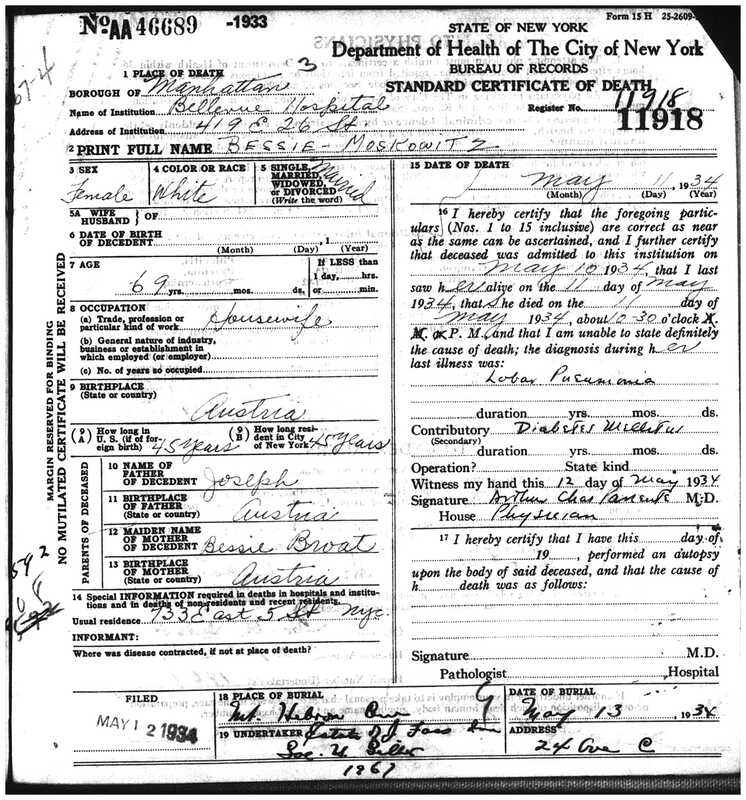 I searched the New York City birth records databases on Ancestry, FamilySearch, and Steve Morse’s website, and I could only find birth records listed for two of those eight children: the firstborn, Harry, and the last born child, Eva. The other six children are just not there at all, no matter how I spelled their names, no matter how many wildcards I used. Jacob and Taube must not have filed a birth certificate at all for those other six children. In addition, when I asked my regular researcher at the Family History Library in Salt Lake City to find Harry’s birth certificate, she was unable to do so because it was a certificate marked “S,” meaning a later filed certificate. Those are not on the microfilms at the FHL. Instead I had to ask someone in NYC to go to the archives there to dig up Harry’s birth certificate. It hadn’t been filed until 1906 when Harry was already fourteen years old. I wonder what would have prompted the family to file it at that point in time. But the certificate is quite interesting. 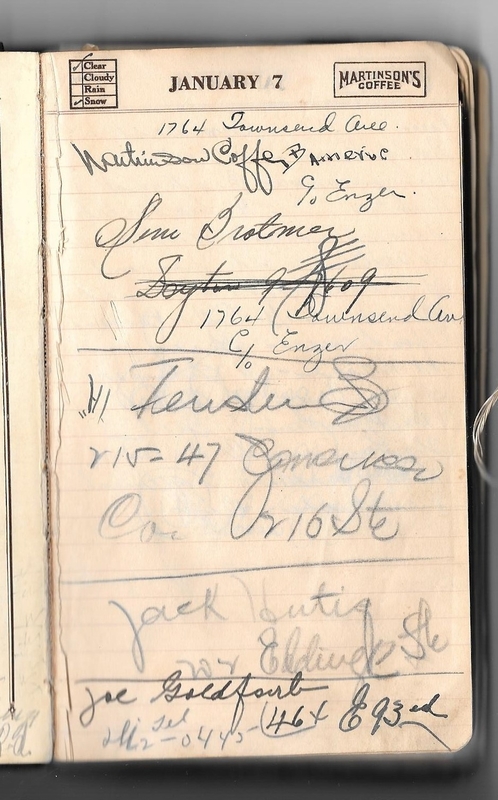 It shows that in 1892, Jacob and Taube (“Toba” here, the Hebrew name) were living at 33 East Houston Street in New York City, that they were both born in Austria, and that Jacob (like Sam Goldfarb) was a cloaks operator. Jacob was 25 when Harry was born, Toba only twenty, meaning they were born in about 1867 and 1872, respectively. And most importantly, Harry’s birth certificate records Toba’s name before marriage as Toba Brotman. Brotman! 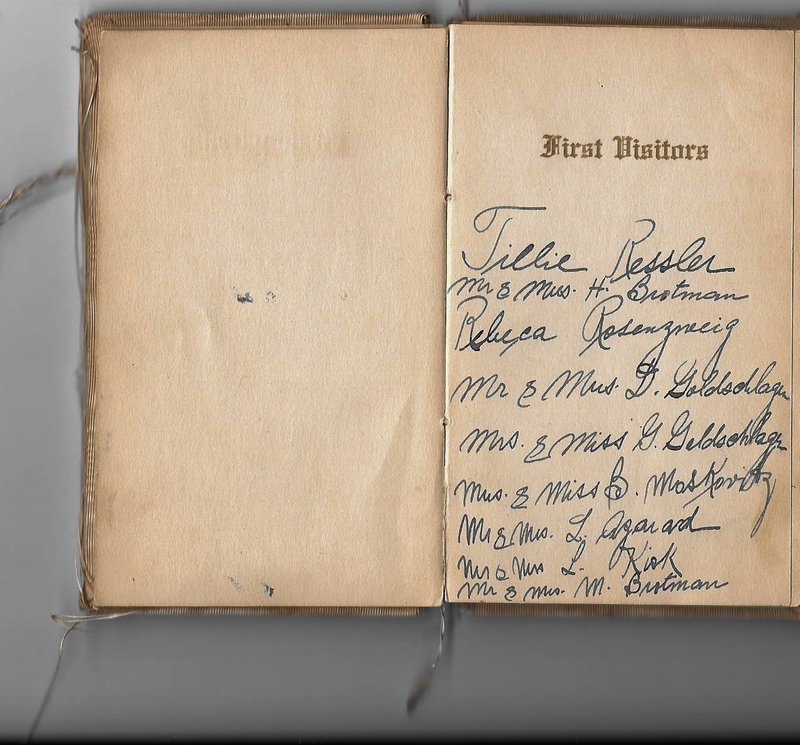 I was right that Ida’s marriage certificate said “Brotman,” not Braitmer as it had been indexed. And, of course, this meant that there was a real chance that Toba, like Sarah Goldfarb, was related to my great-grandparents in some way. And then I looked at the certificate I’d ordered for Eva Hecht. 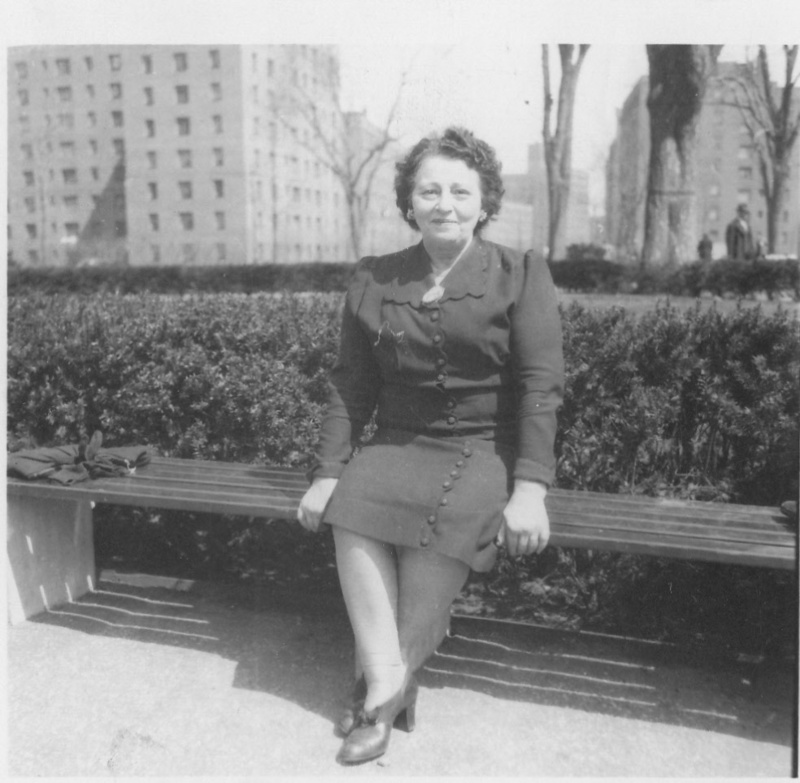 She was born on January 30, 1908, at 38 Montrose Avenue in Brooklyn. 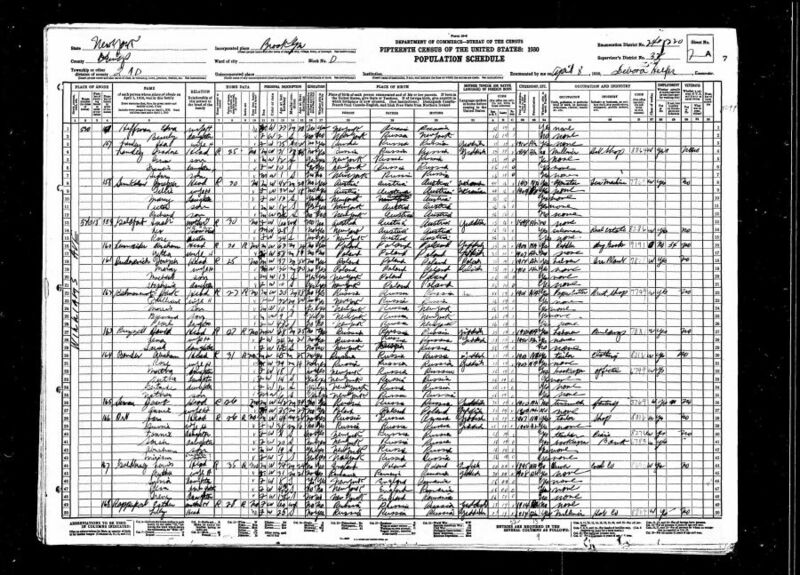 On the 1910 census, the Hecht family was living at 48 Boerum Street in Brooklyn, which is right around the block from 38 Montrose Avenue. So far, so good. But then I looked at her parents’ names: JOSEPH Hecht and Tillie ROTHMAN. Was this in fact the same Eva Hecht? The father was 40 years old, meaning born in about 1868; the mother was 37, so born about 1871. Those years were very close to the ages Jacob and Taube would have been in 1908. Both parents were born in Austria, as were Jacob and Taube. And the father “Joseph” was a tailor, as was Jacob Hecht. 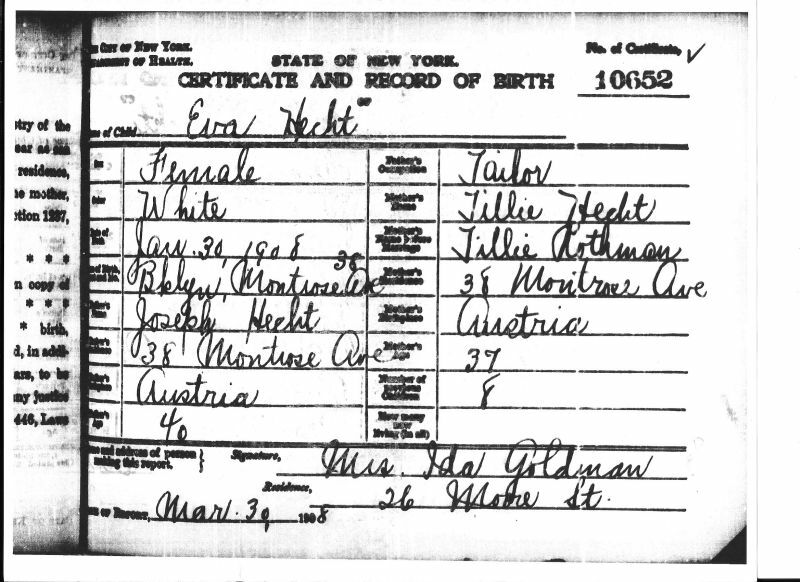 Given all these similarities and the fact that by that time Taube was using Tillie on the census records, I have to believe that this is in fact a birth certificate for Eva Hecht, daughter of Jacob and Tillie/Taube/Toba Hecht. And if it has Jacob’s first name wrong, it could very well have Tillie’s birth surname wrong. Rothman does sound like Brotman, and many family members spelled Brotman as Brothman. Perhaps the person filing the birth certificate, Mrs. Ida Goldman, just had bad hearing or the family’s accents were hard for her to understand. So I had one new solid piece of evidence that Taube Hecht was born Toba Brotman and one rather shaky document that was at least somewhat supportive of that assumption. And, of course, I had Ida’s marriage certificate as well. What else might I find? If there were no more birth certificates, could I find other marriage certificates or death certificates? 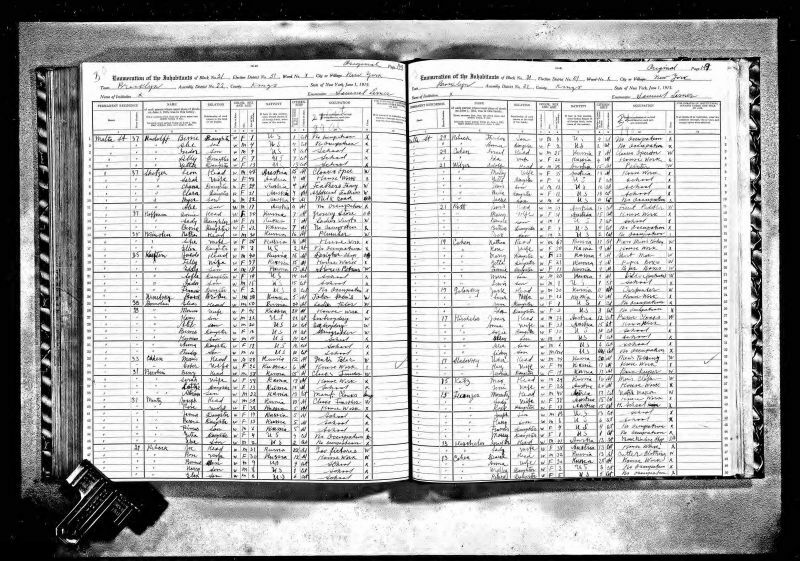 Would the census records provide any more clues? So I decided to start from the beginning and search for records about the Hecht family. 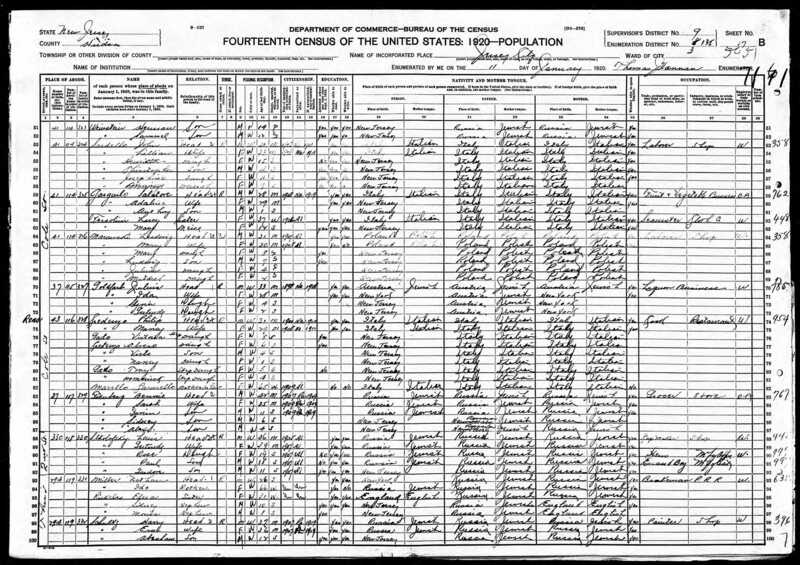 The earliest census on which they appear is the 1900 US census. 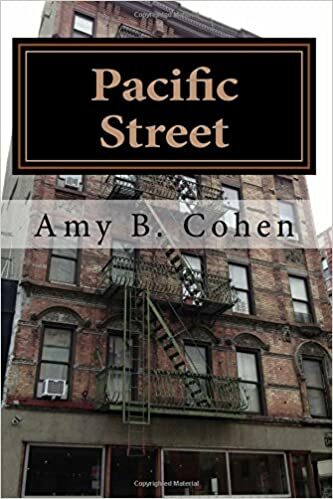 The family was then living at 64 Broome Street on the Lower East Side. 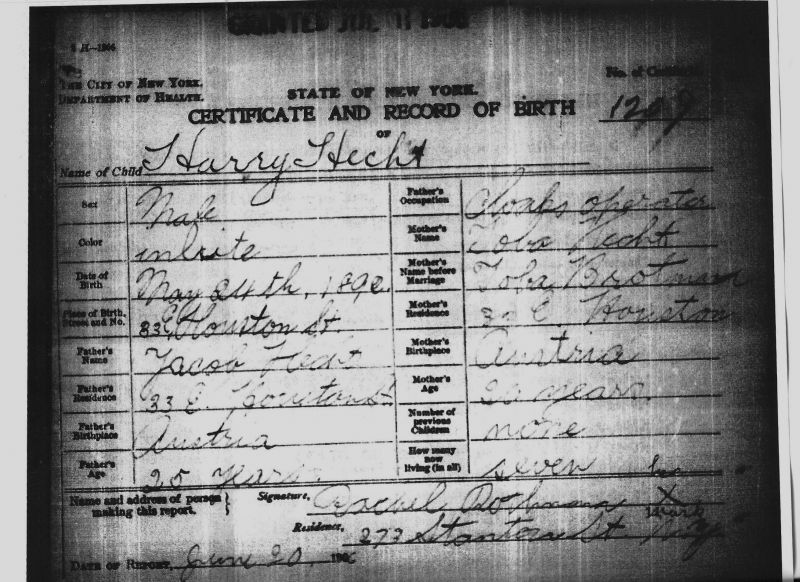 The information for Jacob Hecht (spelled “Hect” here and indexed by Ancestry as “Hast,” making this a tough one to find) has some inconsistencies. His birth year is 1870, so a year or two later than the other records indicated. His birth place is Russia, not Austria. But he is working as a tailor. His wife’s name is listed as Mitilda, which certainly could be Tillie, and she also is listed as born in Russia, not Austria. Her birth year is given as 1875, also several years later than her children’s birth records indicated. The names of their children also have some consistencies, some differences. The first born, Harry, was born in 1892; that was consistent with Harry Hecht’s birth record. The second child, however, is listed as Annie, born in 1893. 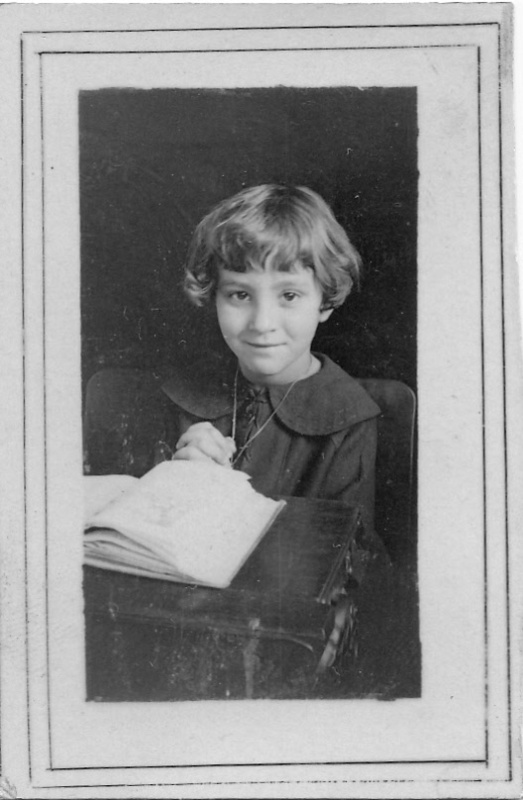 That should be Ida, the second child, who, according to the Goldfarb family papers, was born in 1894. 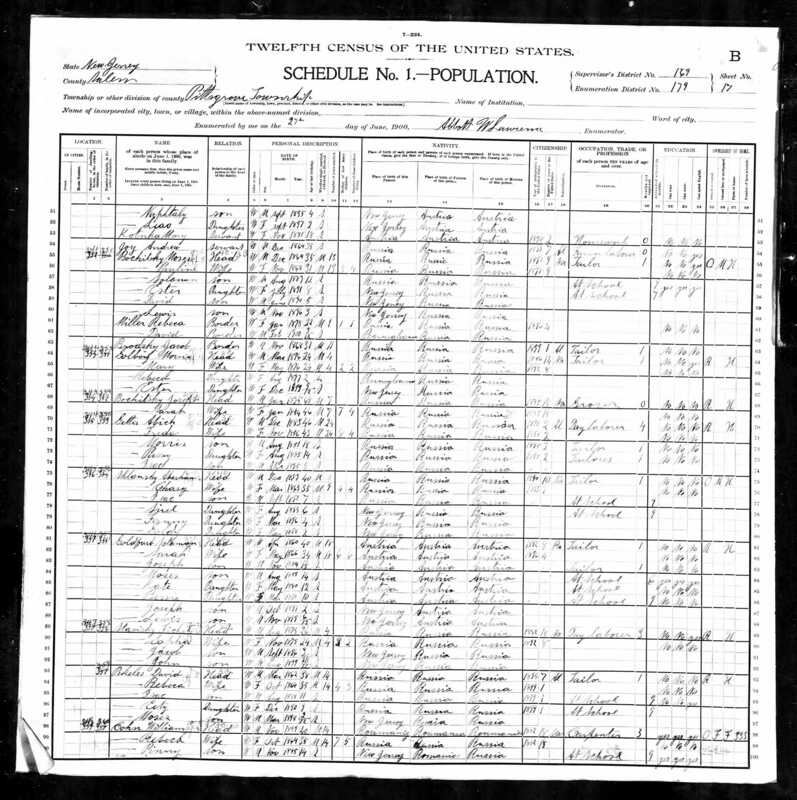 The third child, David, was reported to be four years old (the birth year is not very legible); that is consistent with David’s name and birth year on later census reports. 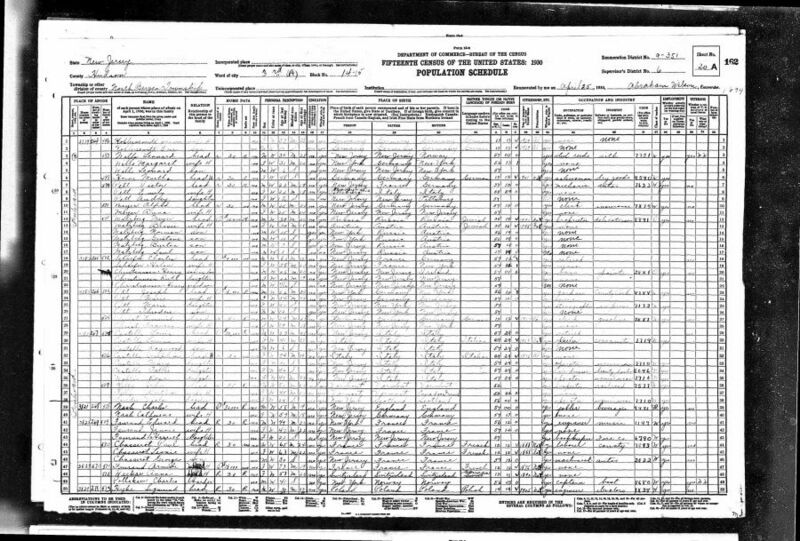 The fourth child is Yetta, who is listed on later reports as Etta; she is reported to have been seven months old when the census was enumerated in June 9, 1900, meaning she would have been born in October, 1899, not October 1889, as the census record has it recorded. 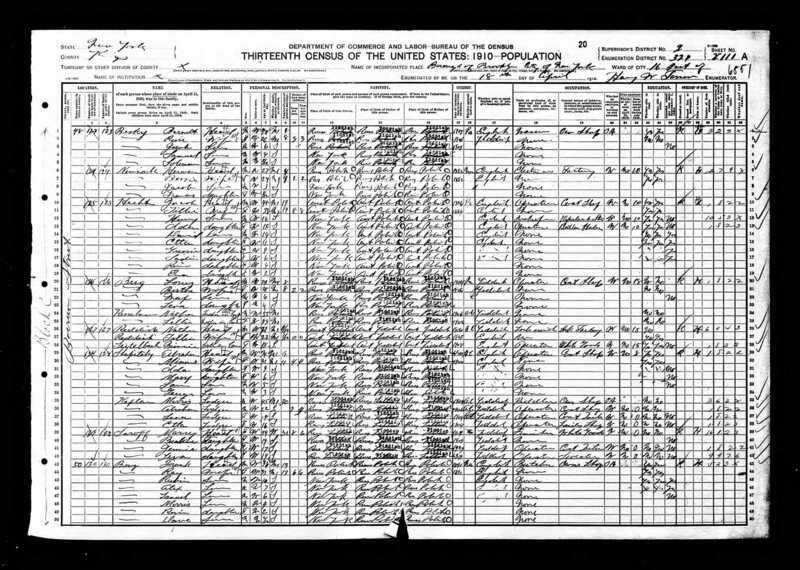 A birth year of 1899 is consistent with later census reports for Etta. 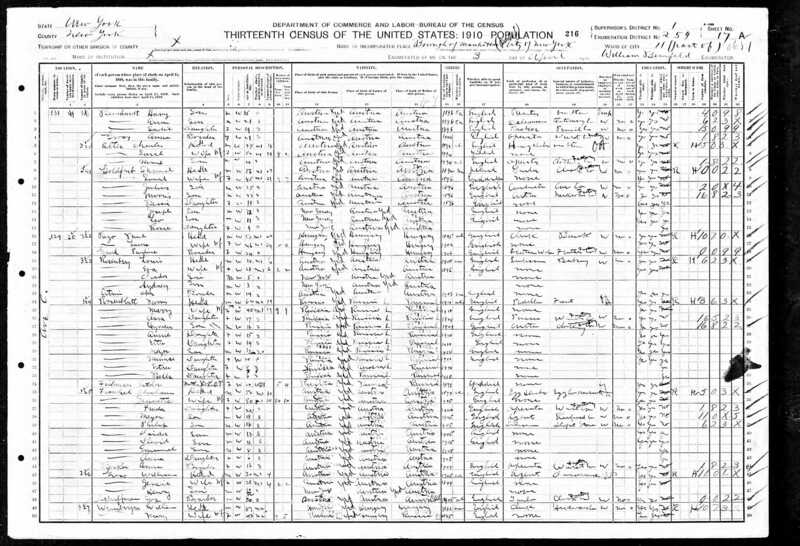 What this census record also revealed was that Jacob and “Miltilda” had been married for nine years, or in 1891. It also said that Jacob had been in the US for only twelve years and arrived in 1887 (though it looks like 1777). “Mitilda” had arrived earlier and had been in the country for fifteen years or since 1885 (though it looks like 1875 was written over it). With this additional information, I searched for both a marriage record for Jacob and Taube/Tillie/Mitilda and for immigration records. I had no luck finding a marriage record in the New York City marriage databases on Ancestry, FamilySearch, or Steve Morse’s website. I guess it’s not surprising that a couple who failed to file birth certificates for their children also had failed to file a marriage record. I am still hoping that some record will show up. As for immigration records, I am fairly certain that I found the ship manifests for Taube. I found two manifests, first a German manifest for the ship Moravia, dated July 9, 1887, sailing to New York from Hamburg. On that manifest is a passenger named Taube Brodt, an eleven year old girl, and her name is bracketed with two other passengers, Eva Singer, a 38 year old woman, and an eleven month old baby named Ascher Singer, presumably the son of Eva. And all three are listed as last residing in “Tarnobchek.” That is, Tarnobrzeg—the home of my great-grandparents Joseph Brotman and Bessie Brod. The second manifest is also for the Moravia, but is the American manifest, written in English, and dated July 21, 1887, the arrival date in New York; it also lists Taube Brodt and the Singers as coming from Tarnobchek. But who were Eva and Ascher Singer? And why was this eleven year old child traveling with them? 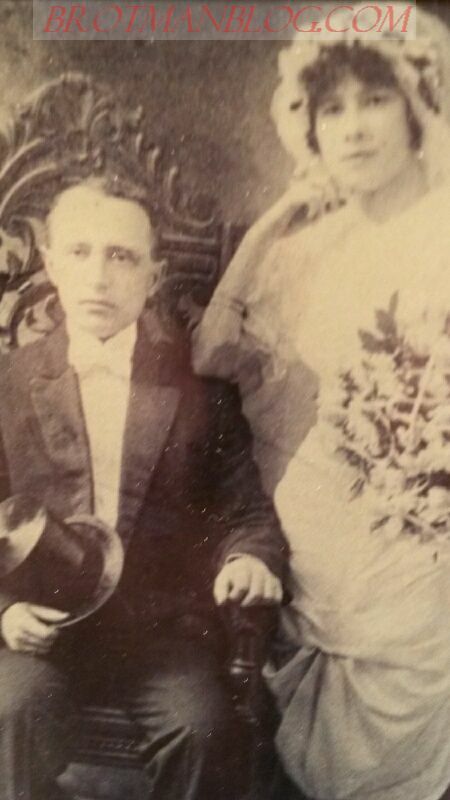 My great-grandfather arrived in 1889, my great-grandmother 1891; Sarah Brod/Brotman Goldfarb didn’t arrive until 1896. 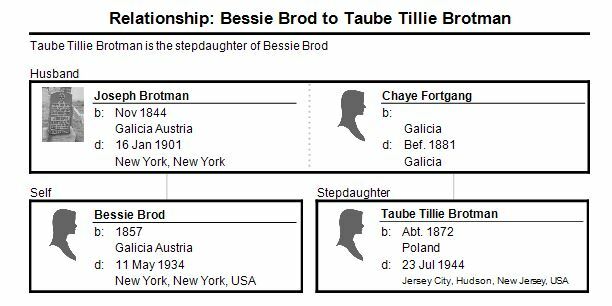 So if Taube Brodt was their relative, who was she going to and why was she leaving home at such a young age? And where did Taube Brodt and Eva and Ascher Singer end up after they disembarked in New York City in July 1887? 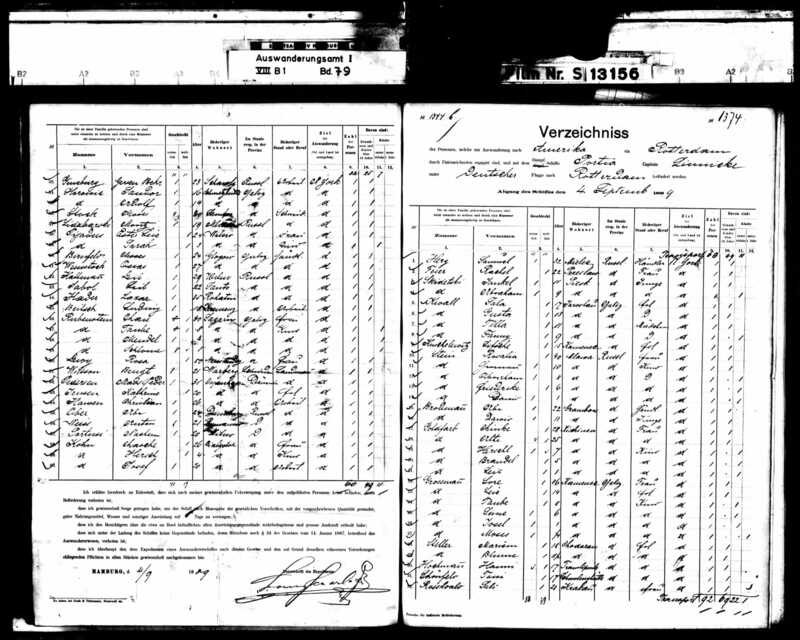 Although I can find many women named Eva Singer, there is only one born in Austria who arrived in 1887 and who had a son who would have been born in 1886. But that Eva’s son’s name is Herman, and that Eva was older than the one who sailed on the Moravia with Taube. Maybe that is the right Eva, and Ascher became Herman. 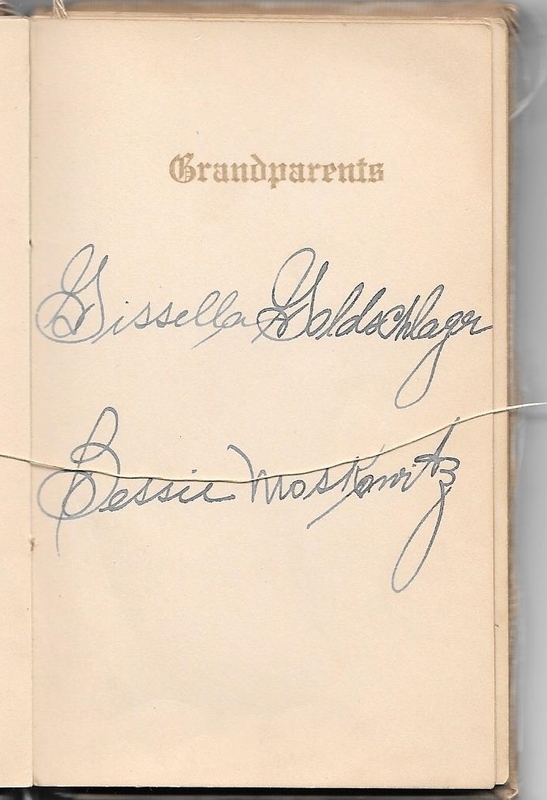 That Eva’s birth name was Goldman, according to the listings in the SSCAI for two of her children. And I had little luck finding an Ascher Singer. 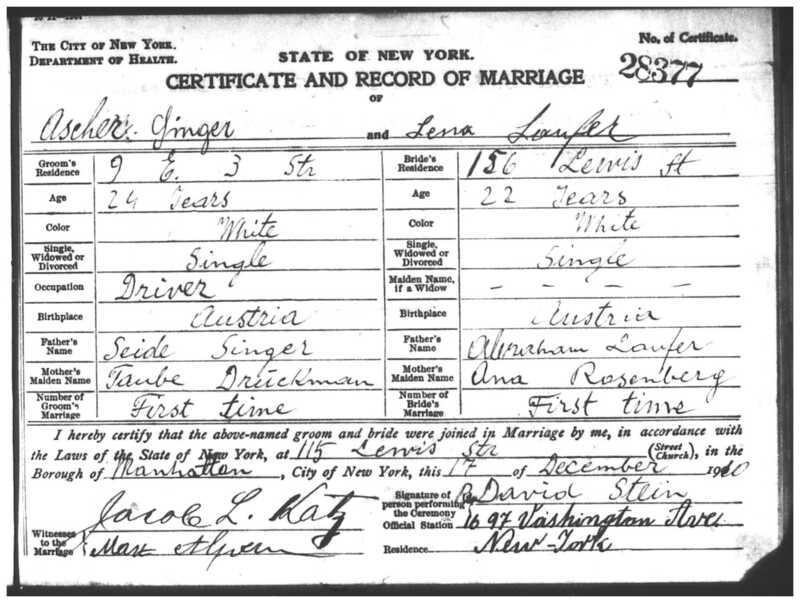 The only record I could find that might fit was a marriage record dated 1910 for an Ascher Singer marrying Lena Laufer. 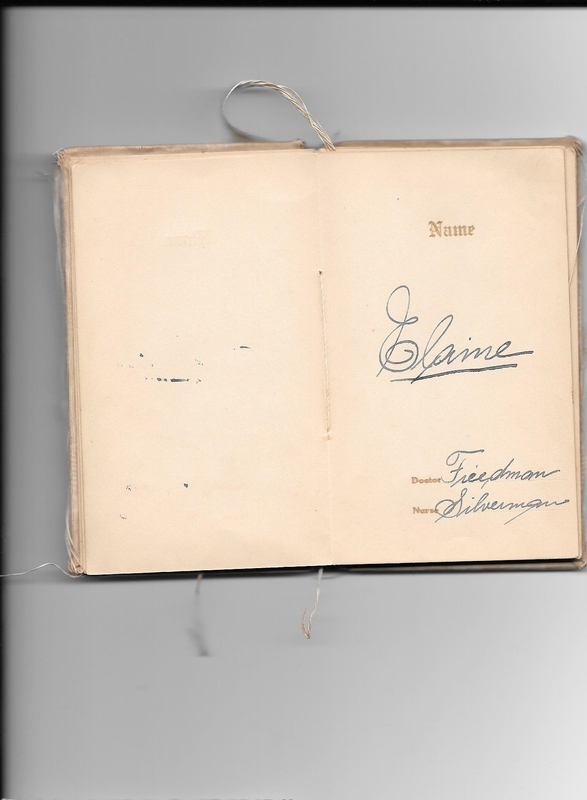 I ordered that marriage record, and it shows that Ascher’s parents were Seide Singer and Taube Druckman. When I saw the name Taube, I wondered—could Ascher have been Taube Brodt’s baby, not Eva’s? Maybe Taube wasn’t only eleven. 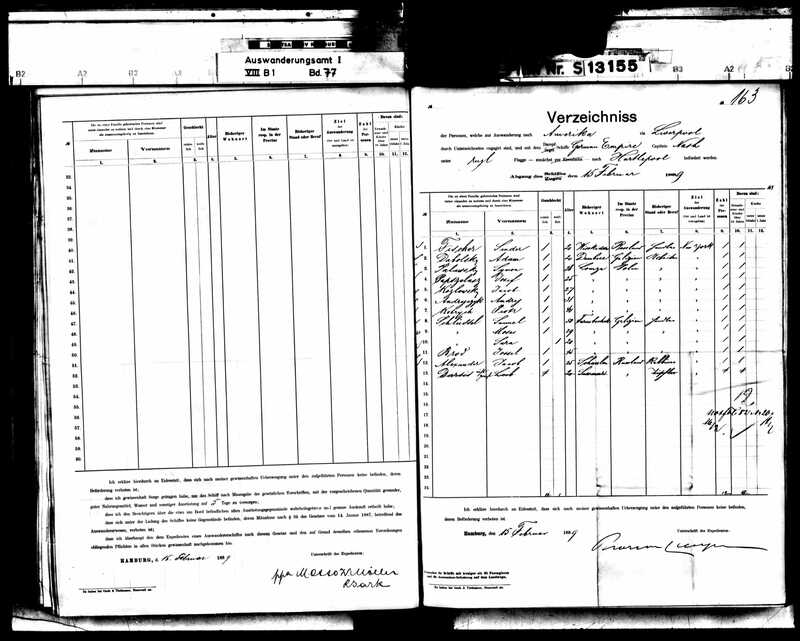 Taube’s age on the census records and her children’s birth certificates suggest she was born in 1871 or 1872, not 1876, as the ship manifest would suggest. So maybe she was really fifteen, not eleven, when she emigrated. 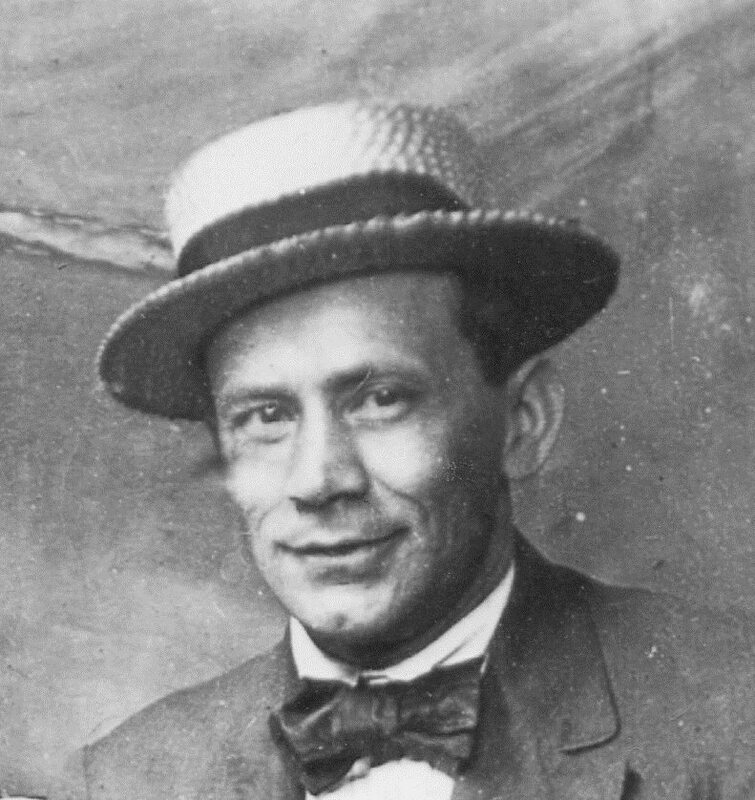 But that is the only record I can find for Ascher Singer, and there is no way to know for sure whether it is the same person who sailed with Taube on the Moravia in 1887 or whether Taube Druckman was really Taube Brodt. Plus even if this is the right Eva or the right Ascher, I’ve no idea how they are connected to Taube Brodt or anyone else in my family. And maybe they weren’t. Maybe Taube just happened to be traveling with them. But then where was she going and to whom? And was this even the same person who married Jacob Hecht in about 1891? If so, she would have been only 15 in 1891 if she was eleven in 1887. Maybe Taube Brodt isn’t even Toba/Taube/Tillie Brotman Hecht? Now what could I do? Besides pull my hair out. I kept on looking. And then the most amazing thing happened. One of my toughest brick walls came tumbling down and when I least expected it. 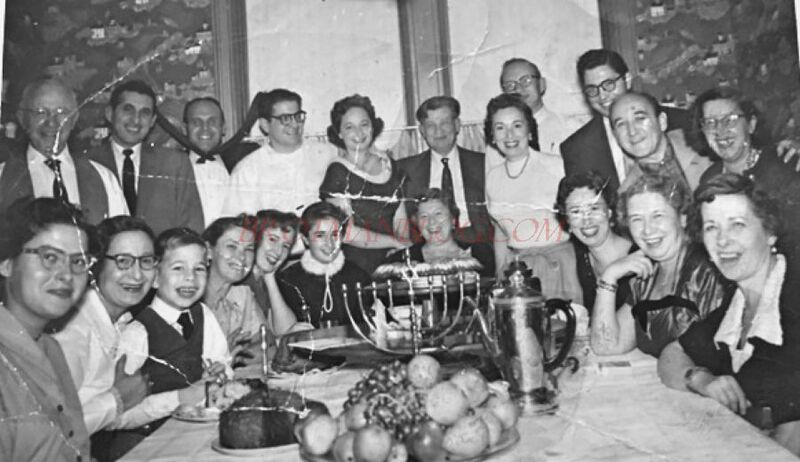 Julius and Joseph Goldfarb were both sons of Sam and Sarah Goldfarb. 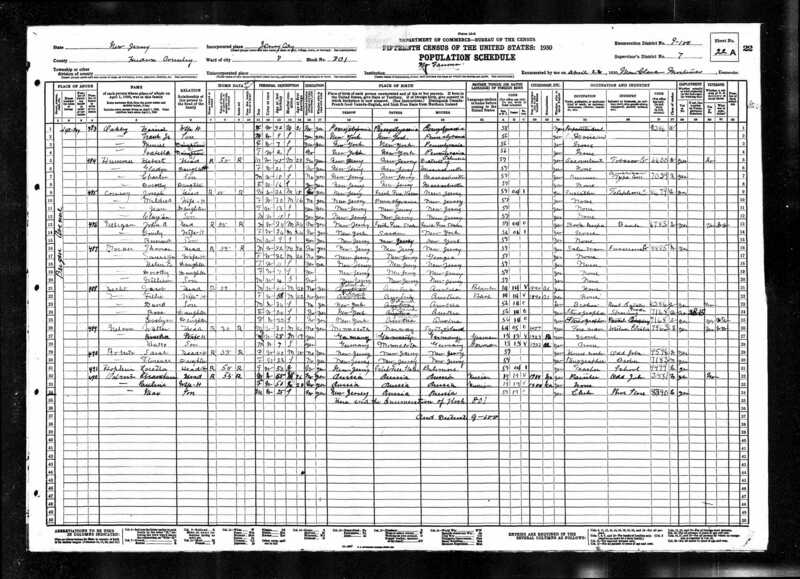 Sarah and Sam had lived in Grombow/Grebow, Poland, before immigrating to the United States, which was the same town my great-uncles Abraham Brotman and David Brotman had listed as their home on the ship manifest when they immigrated in 1889. Sam Goldfarb had arrived in 1892, Sarah in 1896. Sarah came with four children, Julius (Joel), Morris (Moische), Gussie (Gitel), and Bessie (Pesie). They had sailed to Philadelphia, and in 1900, they were living in Pittsgrove, New Jersey, where my great-grandfather’s brother Moses Brotman was also residing. 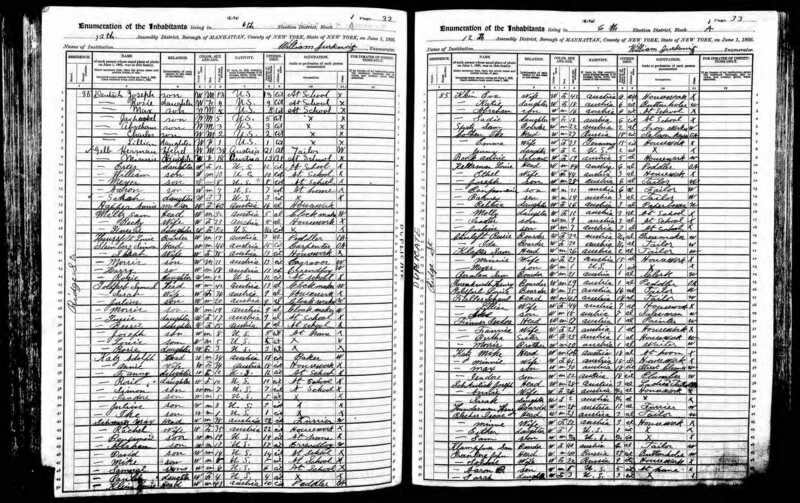 By that time, Sarah and Sam (called Solomon on the 1900 census) had had two more children: Joseph and Leo (or Lewis). Sam was working as a tailor, perhaps even in my grandmother’s first cousin Abraham Brotman’s factory in Pittsgrove, New Jersey. By 1902, Sam and Sarah had moved to the Lower East Side of New York City where their seventh child, Rosie, was born on February 9, 1902. They were living across the street from my grandmother and her family on Ridge Street; my great-grandmother Bessie (Brod) Brotman was then a widow, as my great-grandfather Joseph Brotman had died in 1901. 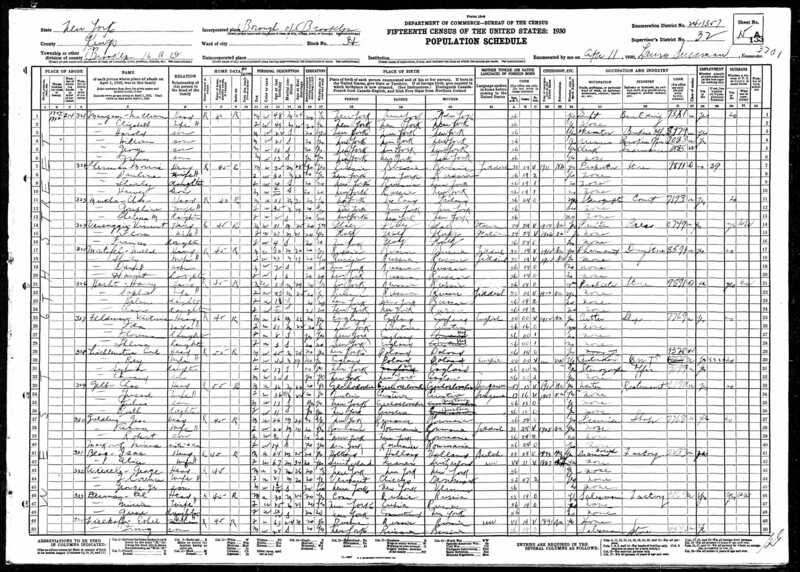 According to the 1905 census, Sam Goldfarb was working as a cloak maker. In 1910, the Goldfarbs were living on Avenue C in New York, and Sam was still working as a tailor in a cloak factory. Their son Julius was working as a conductor on a street car, and Morris as a cutter in a neckwear factory. 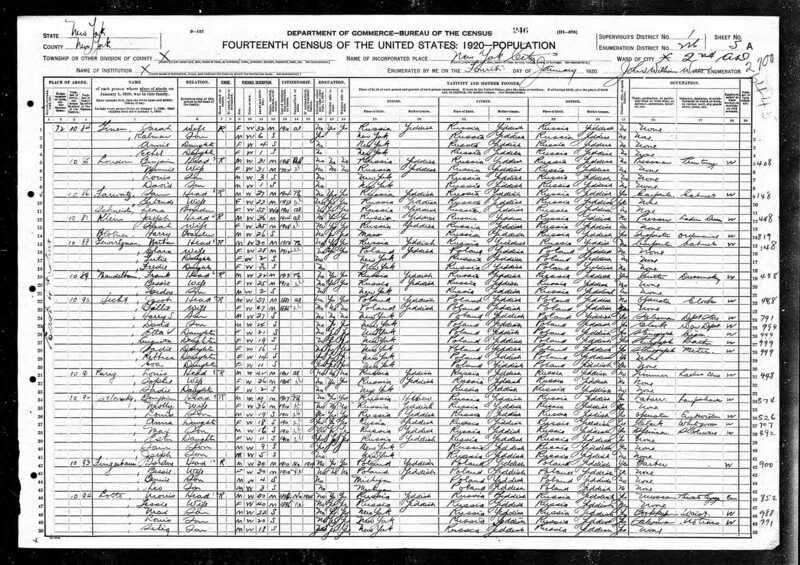 In April 1910, Sam and Sarah’s daughter Gussie married Max Katz, a window decorator who was born in Russia; on the 1910 census, Gussie and Max are listed as living with Max’s parents in Brooklyn. 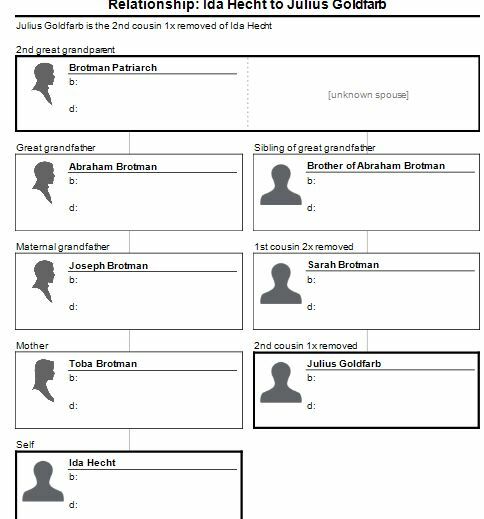 According to the marriage index on FamilySearch, Gussie Goldfarb’s mother’s birth name was “Brohmen,” one of the clues that made me think that Sarah was a relative of my great-grandfather, Joseph Brotman. In 1915, Gussie and Max had moved out on their own and were living on Malta Street in Brooklyn. Max was working in the men’s clothing business. 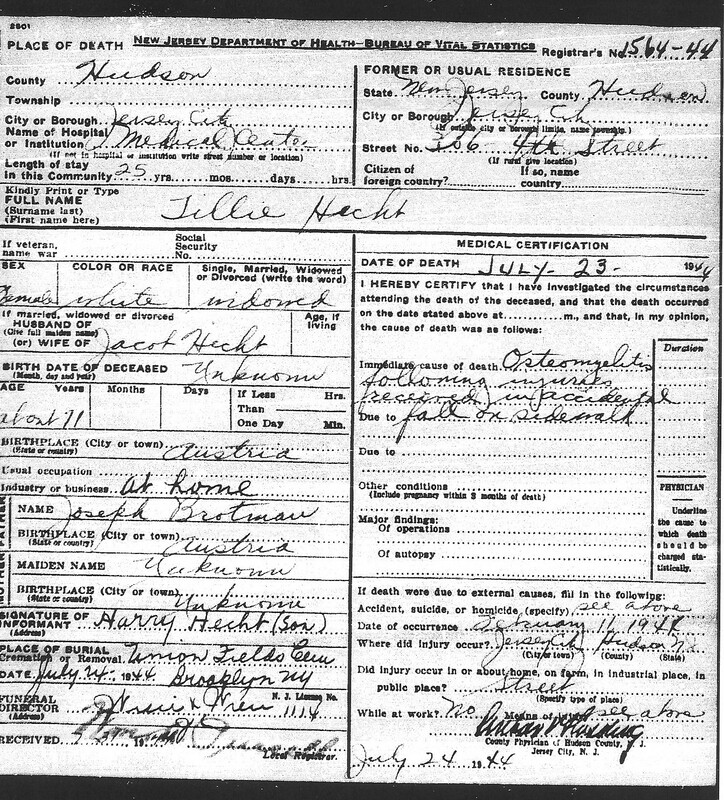 I found another clue for Sarah’s birth name on her son Julius’ marriage license, as indexed on FamilySearch: Sarah Brothman. Julius married Ida Hecht in November, 1913. In 1915, Sam and Sarah and the remaining five unmarried children (Morris, Bessie, Joe, Leo, and Rose) were still living on Avenue C in the same building as my great-uncle Hyman Brotman and his family. 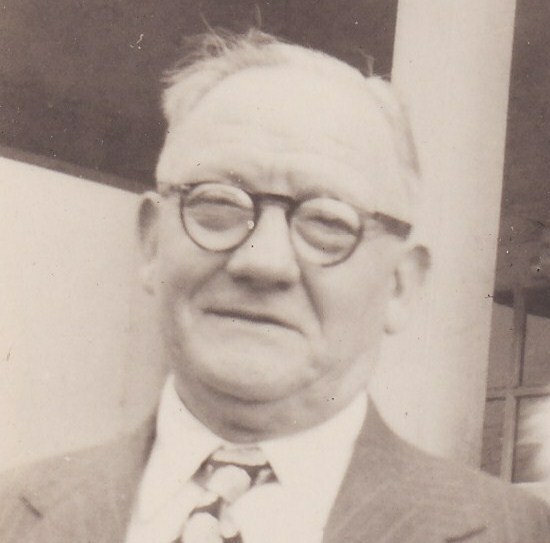 Sam was still working as a tailor, as was his son Morris. 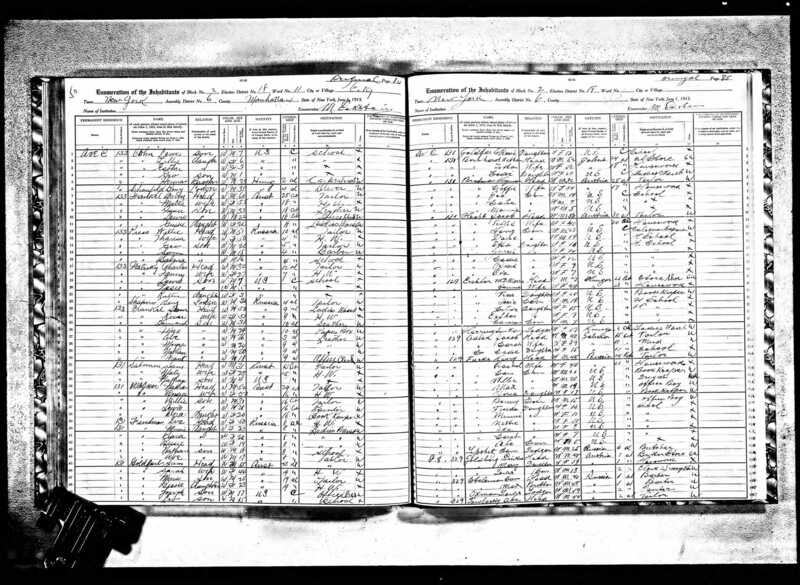 Based on these two New York City marriage index listings, one for the marriage of Gussie Goldfarb and one for the marriage of Julius Goldfarb, it looked like their mother Sarah’s birth name was Brothman or Brohmen. To find out more, I would need to order the actual records plus any other vital records that might reveal Sarah’s parentage and family. So I ordered these two marriage records; I also ordered the birth record for Sarah and Sam’s last child, Rosie. 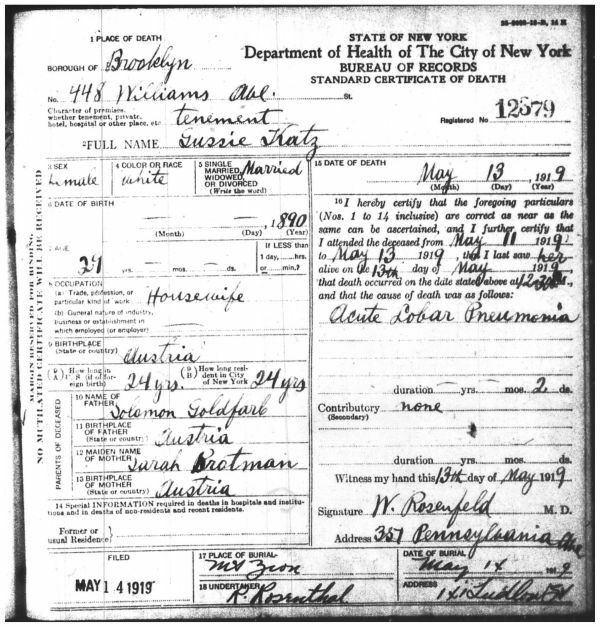 The marriage record for Gussie was consistent with the information on the NYC marriage index, except that it was evident that Gussie’s mother’s name was not spelled Brohmen, but Brotmen, on the actual certificate. 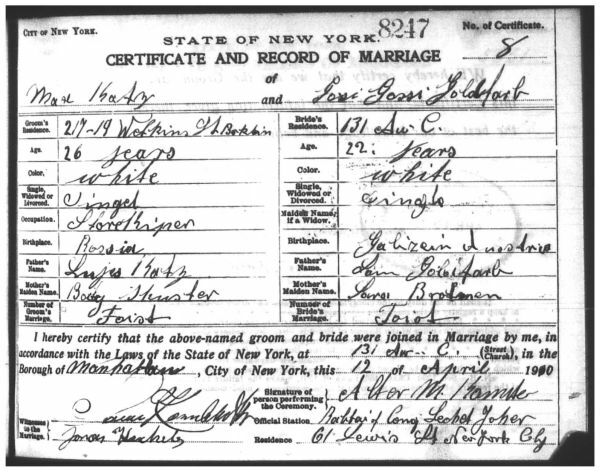 The actual marriage record for Julius Brotman and Ida Hecht was also consistent with what I’d seen on the index in terms of Sarah’s birth name—Brothman. But the record revealed a new mystery. 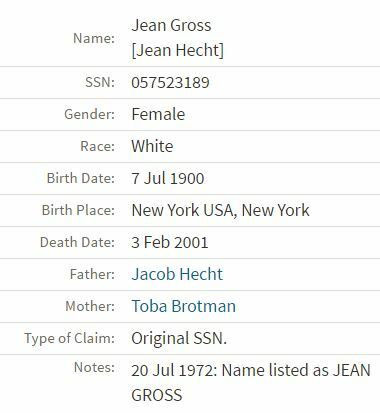 Ida’s mother’s birth name certainly looks like it was Taube Brotman, doesn’t it? (The index said Braitmer.) Who was this? 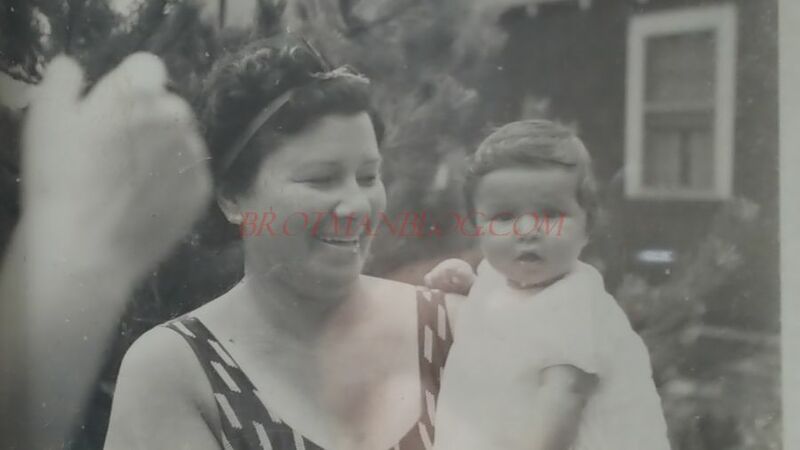 Perhaps Taube Hecht had come to see my aunt as a baby not simply because her daughter Ida was married to my grandmother’s cousin Julius; maybe she came because she herself was a Brotman relative. I decided to put that mystery aside for the time being and focus on Sarah Goldfarb. And Rosie Goldfarb’s birth record made me really scratch my head. It gave Sarah Goldfarb’s name before marriage as S. Braud or maybe Brand. Not Brotman or Brothman or Brotmen. I was confused. Was it Brod? 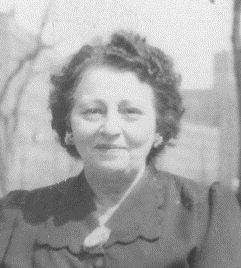 Was Sarah actually my great-grandmother Bessie Brod’s sister, and not the sister of my great-grandfather Joseph Brotman. Obviously I needed to do more digging. 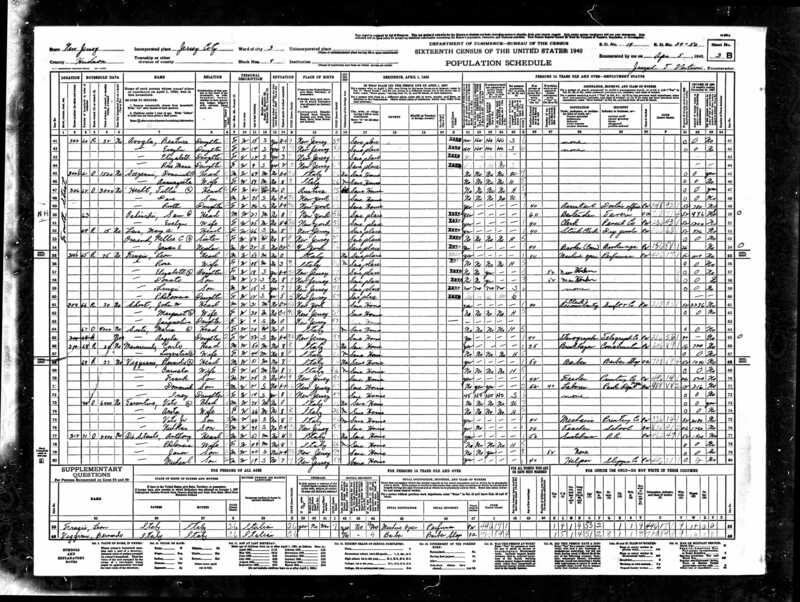 On February 2, 1919, Morris married Anna Grinbaum in Brooklyn, according to the NYC marriage index. 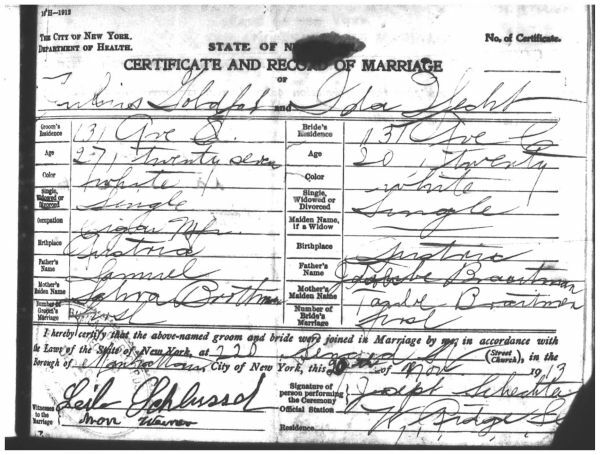 I ordered a copy of his marriage record, and his record listed his mother’s birth name as Sarah Brod. Now I had two records that indicated Sarah’s birth name was not Brotman, like my great-grandfather, but Brod, like my great-grandmother. I wanted to hit my head against the wall! Tragedy struck the Goldfarb family when Sarah and Sam’s oldest daughter, Gussie, died on May 13, 1919 at age 29 from acute lobar pneumonia. As far as I can tell, Gussie and her husband Max Katz had not had any children. 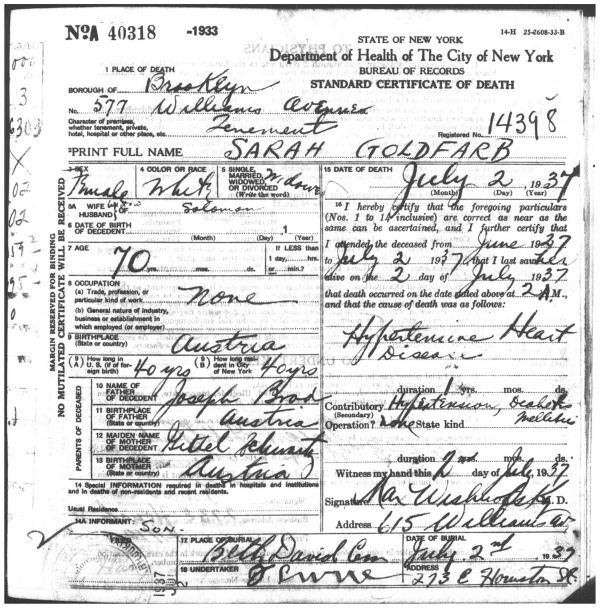 On Gussie’s death certificate, her parents’ names are listed as Solomon Goldfarb and Sarah Brotman. Another point for Brotman. In 1920, Sam and Sarah only had three children still living with them: Joe (22), Leo (20), and Rose (18). 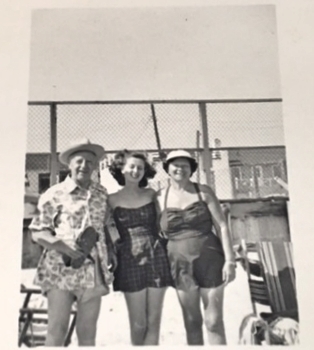 Joe and Leo were both working as clerks for an express company, and Rose was working as a dressmaker. Sam was no longer working; he was now 64 years old. 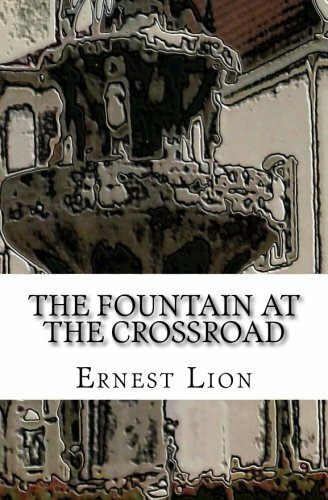 They were living on Williams Avenue in Brooklyn; I now knew that the “S. 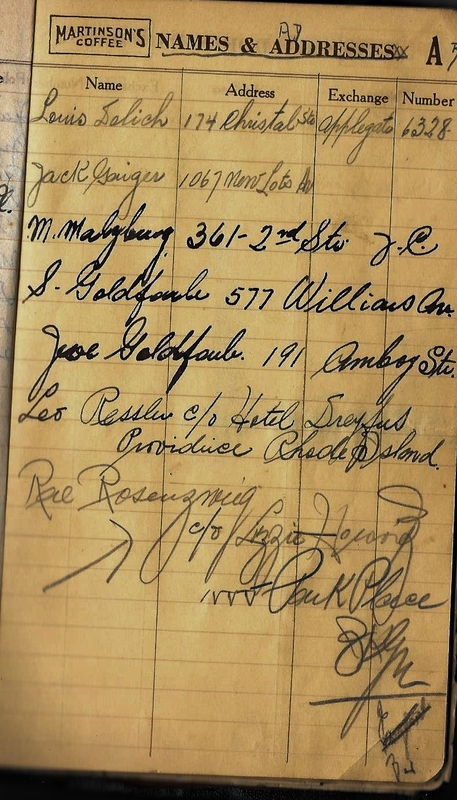 Goldfarb” on Williams Avenue listed in my grandfather’s notebook had to be either Sam or Sarah Goldfarb. This is most definitely my cousin Bessie Goldfarb: she was born in “Austria,” her father was named Sam, her mother Sarah Brothman. But why was she a resident of Detroit? And how did she knew Meyer Malzberg? 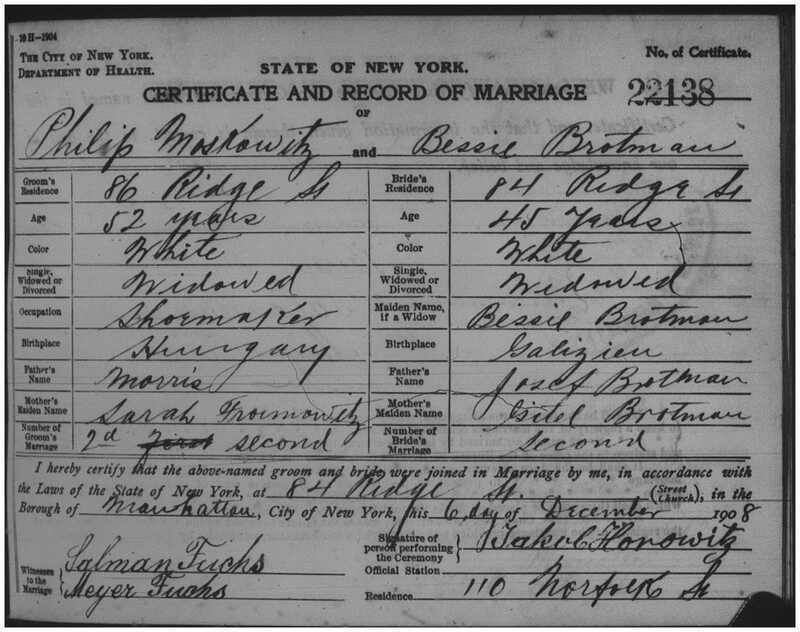 And most confusing, if she married him on August 9, 1914 as this record reports, was she really living back in Brooklyn when the NY census was taken in 1915? It got even more bewildering. In 1910, Meyer Malzberg was living with his father and sister in New York City, working as a stock clerk in a department store. In fact, although he was born in Russia, he and his family had been living in New York City since their arrival in about 1900 (records conflict). So what were he and Bessie doing in Detroit in 1914? 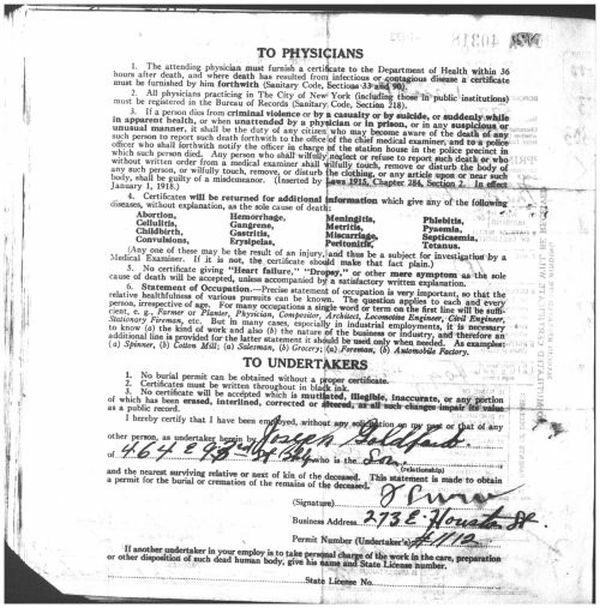 In June, 1917, when Meyer registered for the World War I draft, he was still living in Detroit, working as a driver for the Detroit Creamery Company. He also claimed an exemption from service because he was supporting his father, his wife, and a child. So by 1917, Meyer and Bessie had had a child. But if Meyer and Bessie had had a child between 1914 and 1917, why was Bessie living with her parents in New York in 1915 while Meyer was still apparently living in Detroit? 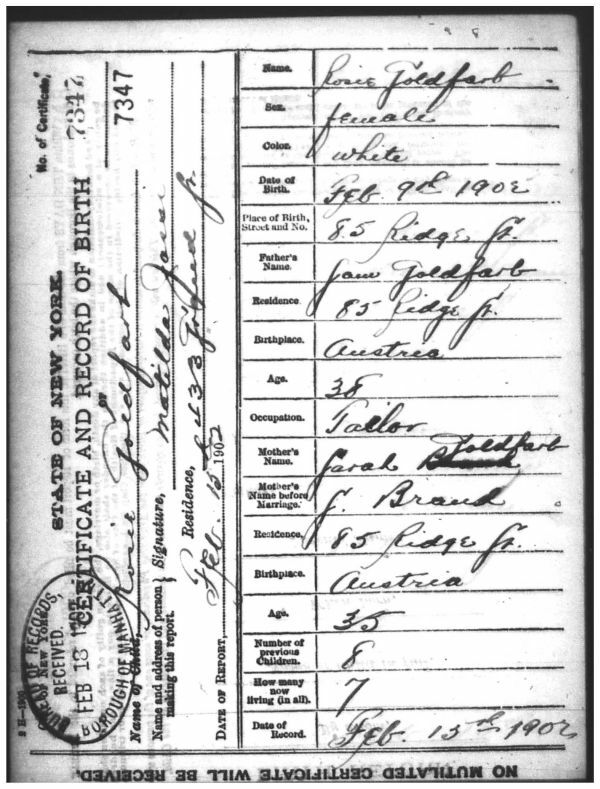 A little more research revealed that that first child, a son named Norman, was born in New York in May, 1915; although the NY census is dated on the form as June 1, 1915, it must have been actually enumerated before then since the baby is not listed. My best guess is that Bessie had come back to New York to have her baby where her family was living while Meyer stayed in Detroit to earn a living. 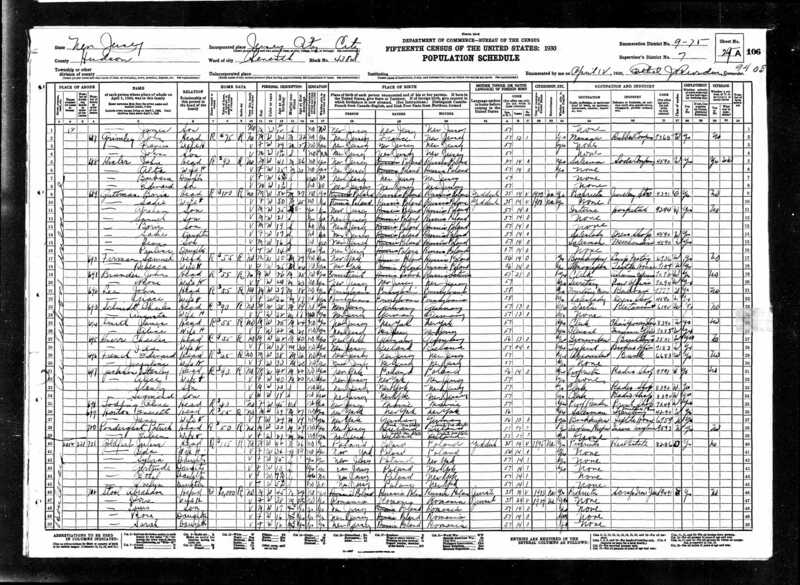 Unfortunately, I was unable to find Bessie and Meyer on the 1920 census, but their second child Gustave was born in Brooklyn in 1919 and their two youngest sons Burton and Saul were born in Jersey City in the 1920s. 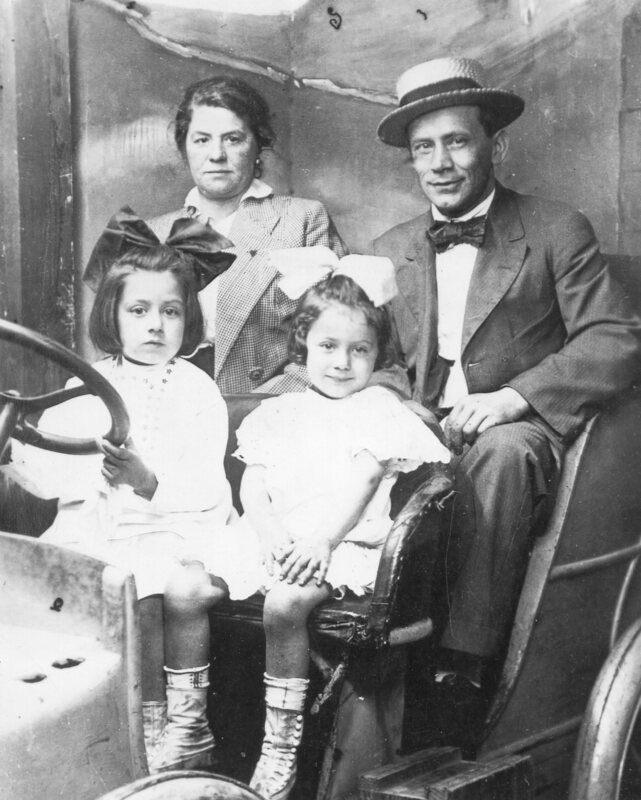 Bessie’s brother Julius and his family were also living in Jersey City in 1920, and Julius was continuing to work in the liquor business; by 1920, they had two young daughters, Sylvia and Gertrude. 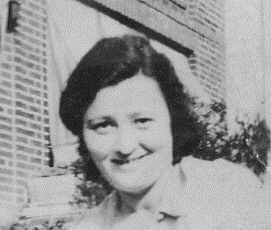 To review: as of 1920, Sam and Sarah Goldfarb were living with their children Joe, Leo, and Rose in Brooklyn; Julius and Ida were living in Jersey City; Morris and Anna were probably living in Brooklyn; Gussie was deceased; and Bessie and Meyer were living in either Jersey City or in Brooklyn. 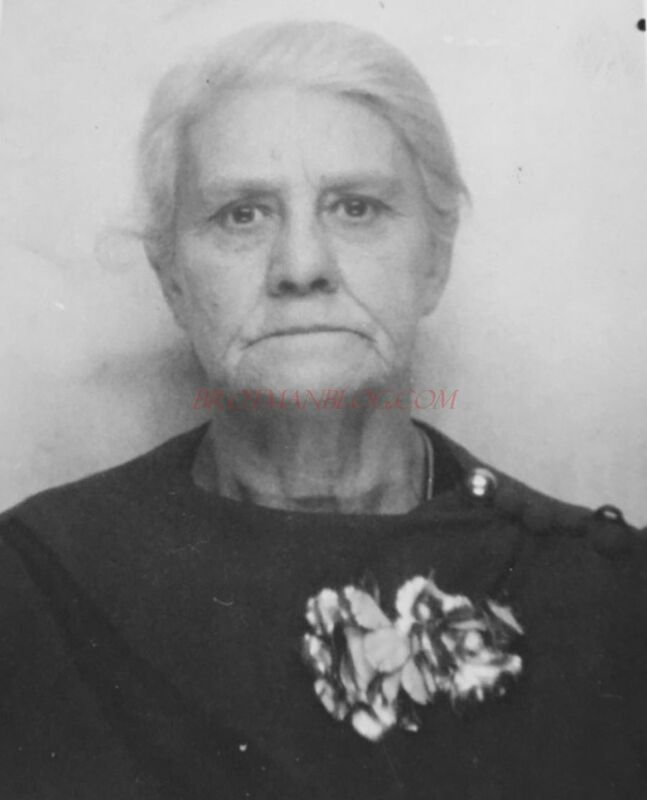 At this point in my research, I started to move beyond 1920 and to look for living descendants to see what I might learn about the family and specifically about Sarah Goldfarb. I was very fortunate to find two of the descendants of Julius and Ida (Hecht) Goldfarb. And they provided me with extensive family history notes that a member of the Goldfarb family had researched years before. More on what I learned from that research in my next post. The evidence seemed to weigh in favor of Sarah being perhaps a sibling of my great-grandfather Joseph Brotman. Also pointing in that direction was the fact that when they first came to the US, Sam and Sarah had lived in the same town as Moses Brotman, my great-grandfather’s brother. But then by 1902, Sarah and Sam had moved across the street from my great-grandmother after my great-grandfather had died. Did that suggest that Sarah was Bessie’s sister and had moved to New York to be closer to her widowed sister? 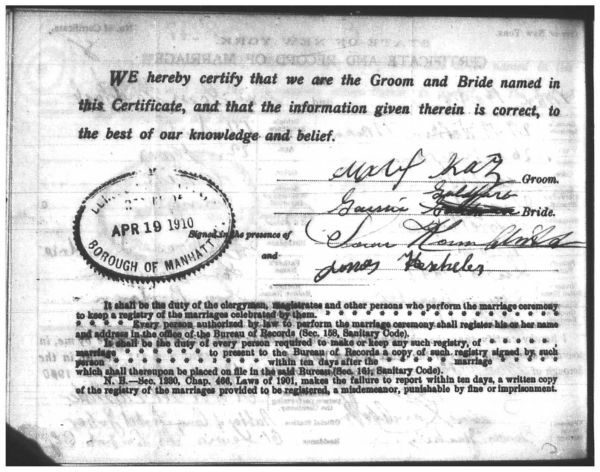 Was Sarah a Brod, not a Brotman, as the wedding certificate for Morris and Rose’s birth certificate indicated? 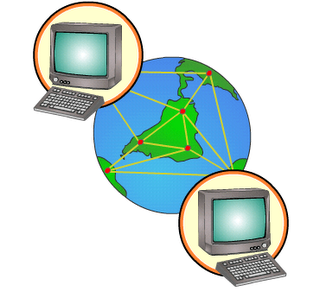 Plus there were some conflicting clues raised by the naming pattern. If Sarah had a sister named Bessie (my great-grandmother), would she have named a child Bessie? 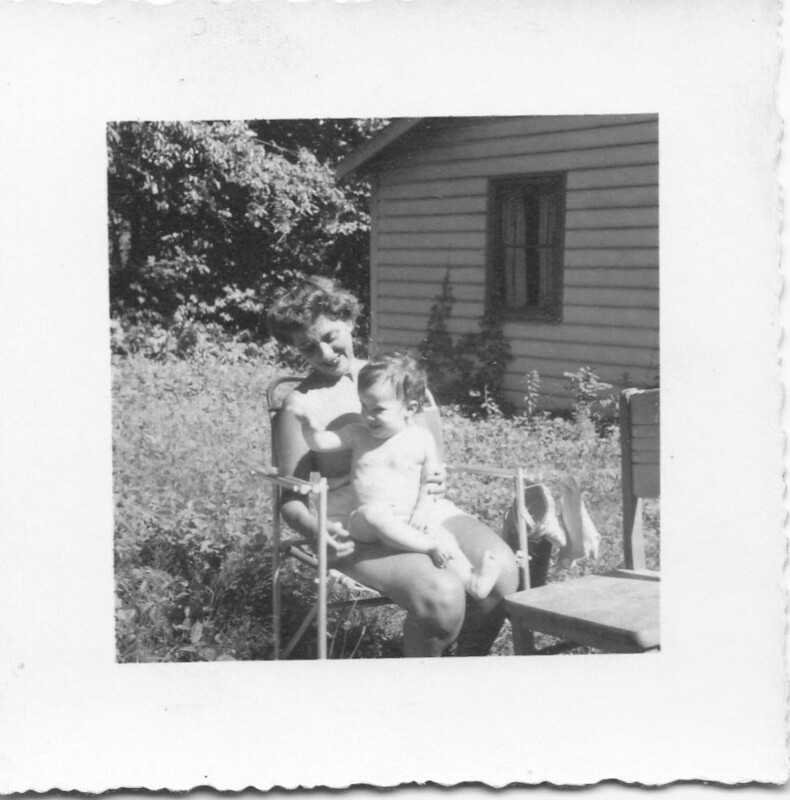 But Sarah also had a son named Joseph who was born before my great-grandfather Joseph Brotman died. Would she have given a son the same name as her brother? Ashkenazi Jews don’t name their children after living relatives, so these name choices certainly confused the matter. The evidence certainly was not conclusive. I needed more. Although the documents I found spelled the town several different ways, Grembow, Grombow, and Grebow, I believe that the last is the correct spelling. I searched JewishGen, and the only town with a name similar to those names that had had a Jewish community before the Holocaust was Grebow, the town I visited in 2015, the town right near Tarnobrzeg.